Contemporary apartment in Thessaloniki, Greece designed by NORMLESS. 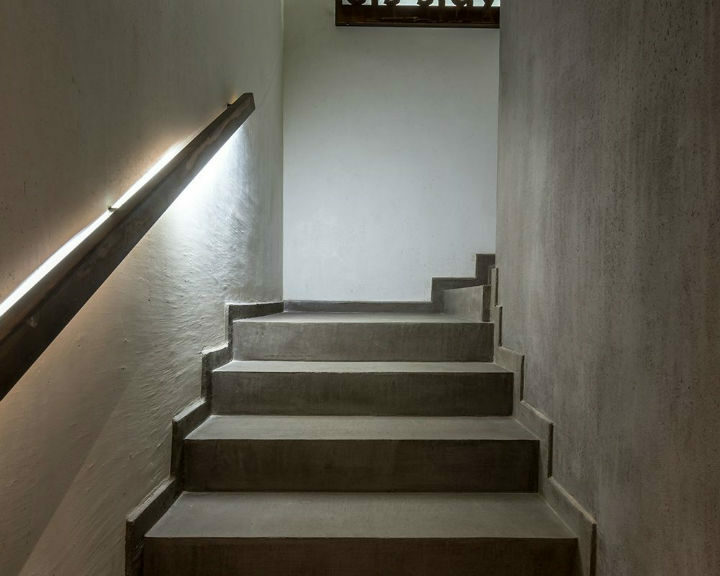 The core idea behind the concept development for this project was the application of countryside house principles into an apartment space, for a family of six. Therefore, the design proposal includes multiple small and functional private spaces for each family member and focuses on elaborate and spacious living areas around the house that encourage common domestic activities. The house consists of an open entrance, dining and living room area, a kitchen, two bedrooms for the four children, an ensuite master bedroom, three bathrooms and an attic. 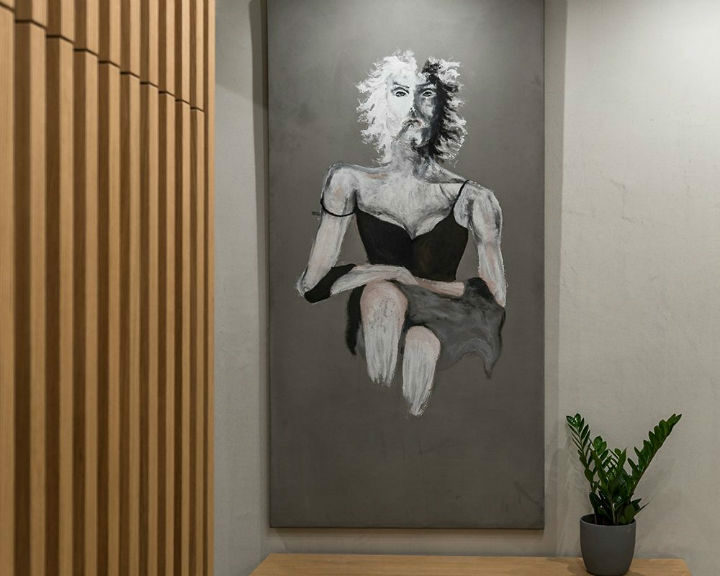 The ample use of Kourasanit natural filler coating creates a prevailing sense of a monolithic housing structure while offering the flexibility of an almost sculptural treatment of the material in a variety of interior applications. 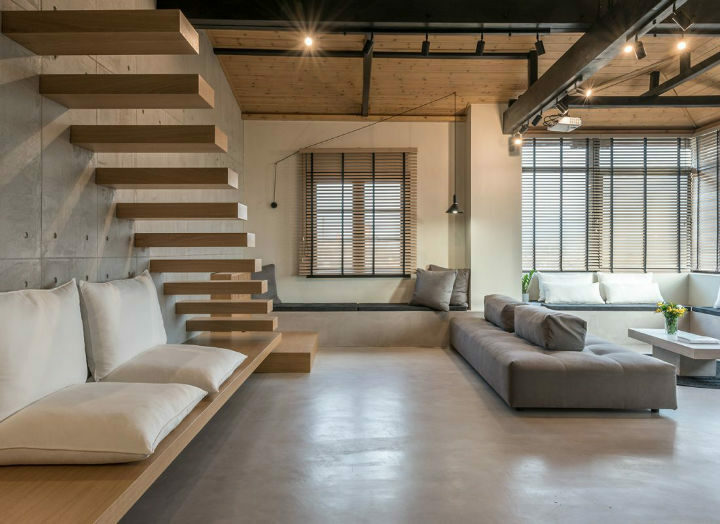 The architects employed a muted colour palette to create a cozy environment, experimenting with different textures on the walls and ceiling. 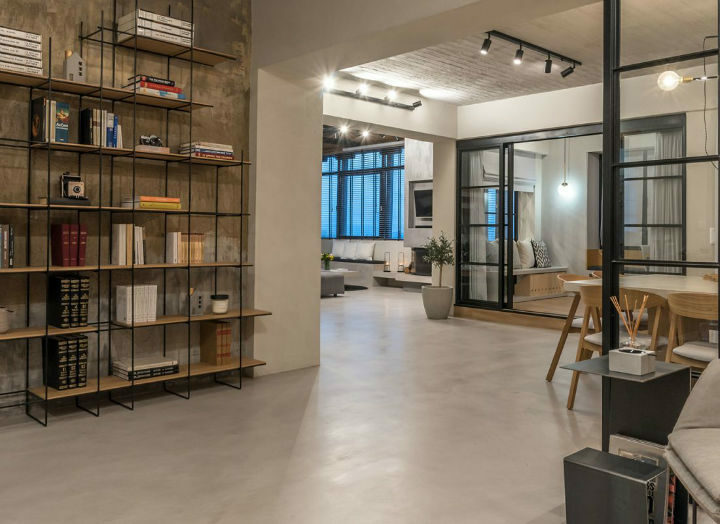 In between the living and dining room an enclosed space separated with metal framed glass doors, is used as a home office. 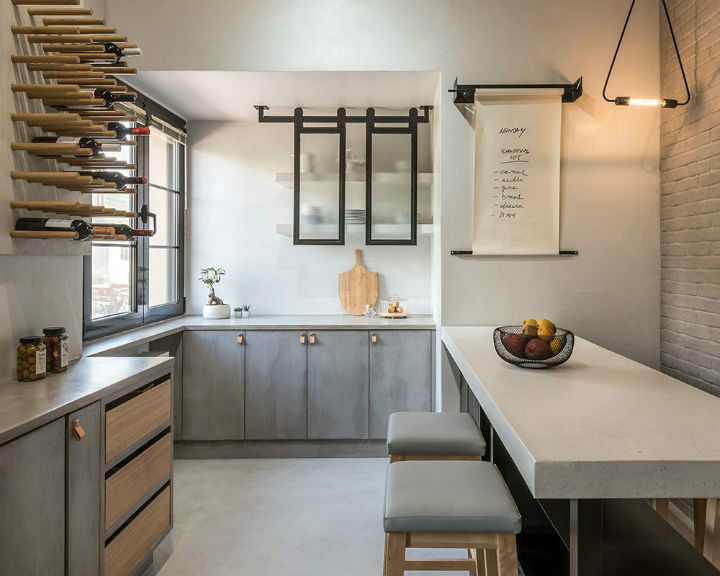 The kitchen counter and cupboards were also coated with Kourasanit filler on a neutral grey palette allowing the black metal and wooden details to stand out. 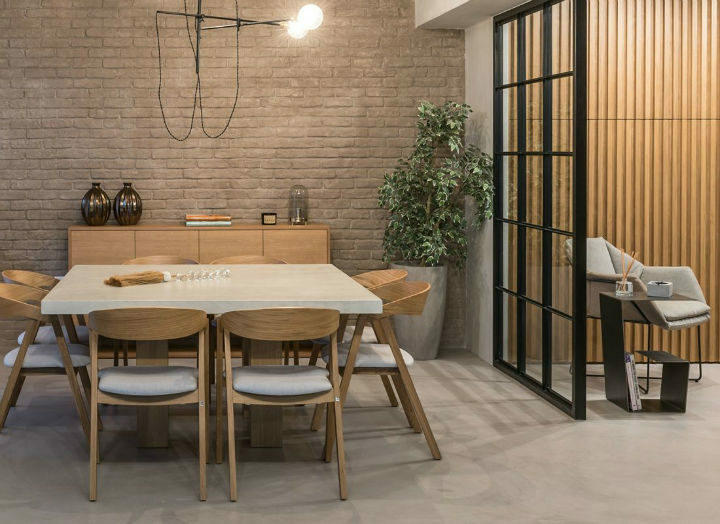 An elongated terrazzo table with extra storage space serves as an everyday dining area. 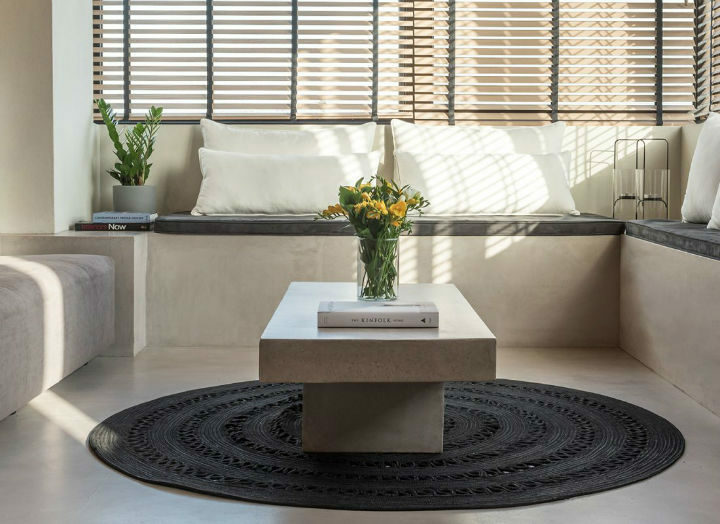 A unified flooring texture spreading from the entrance hall all the way to the living room, results in a compositional continuity and cohesion, which is emphasised by the extrusion of the floor coating into built-in benches under the windows. A double sided sofa works as a divider for the two living room areas. Wooden steps hang from the wall while creating another sitting spot for the big family gatherings. 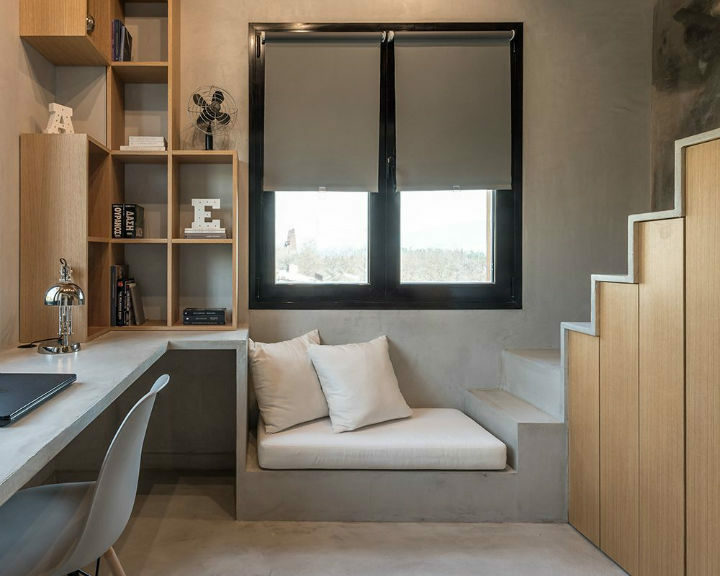 The two bedrooms for the four girls of the family, have loft beds, allowing the maximisation of usable space, making most of the limited square meters. 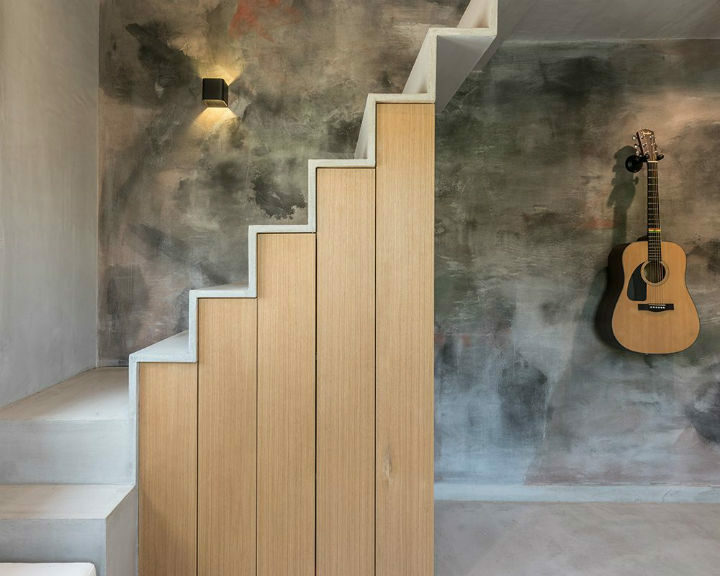 The space created under the staircase is used as extra storage. 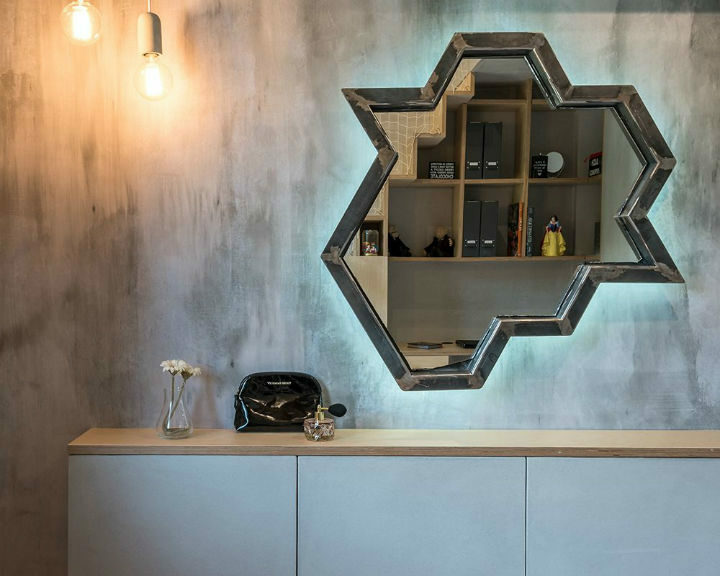 Varnished plywood and Kourasanit coating is again used in these rooms, in a more playful tone in terms of colours and textures. 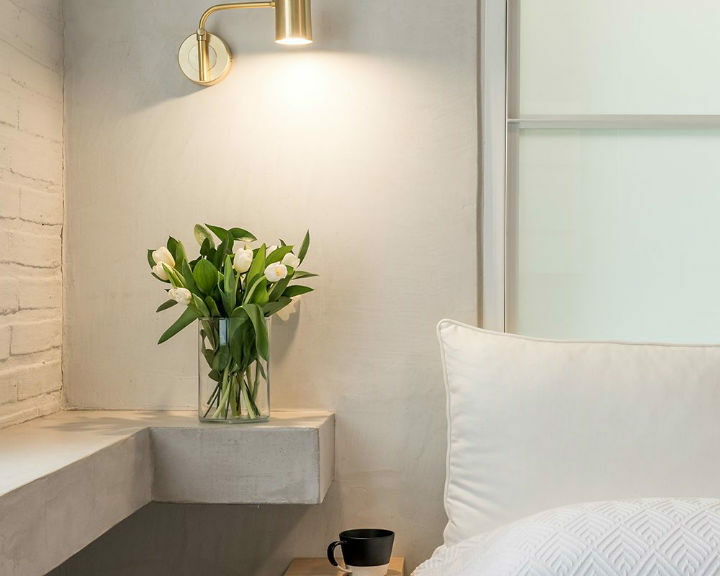 An almost white palette sets the background for the master bedroom, with only few brass and wooden details. 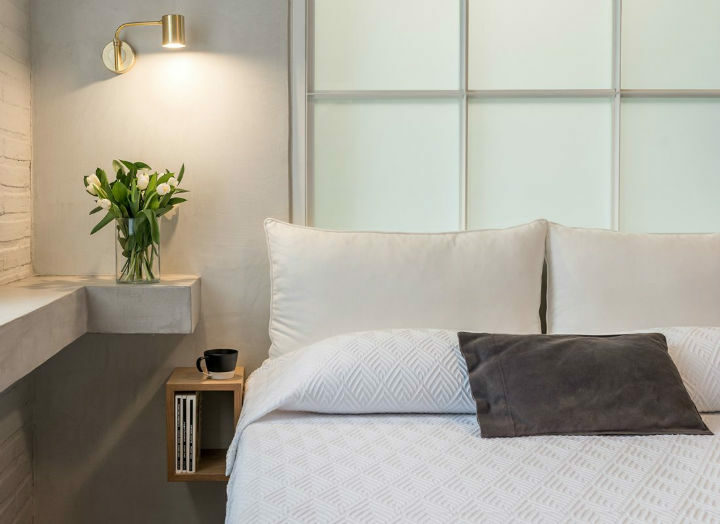 Behind the bed, a metal frame window separates the room from its ensuite bathroom, where custom made metal washbasins sits on a terrazzo counter. 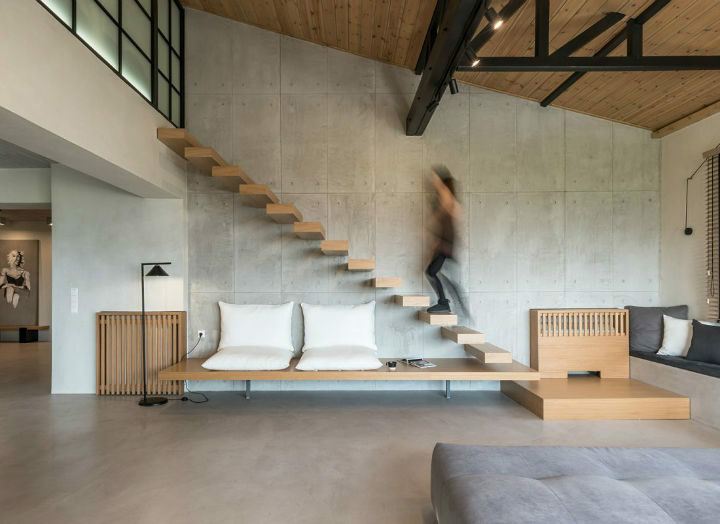 The light-oak wooden steps and floor, along with the extensively casted Kourasanit, in large, high ceiling and bright living spaces, underline the resulting atmosphere of a simple, yet elegant country house apartment. 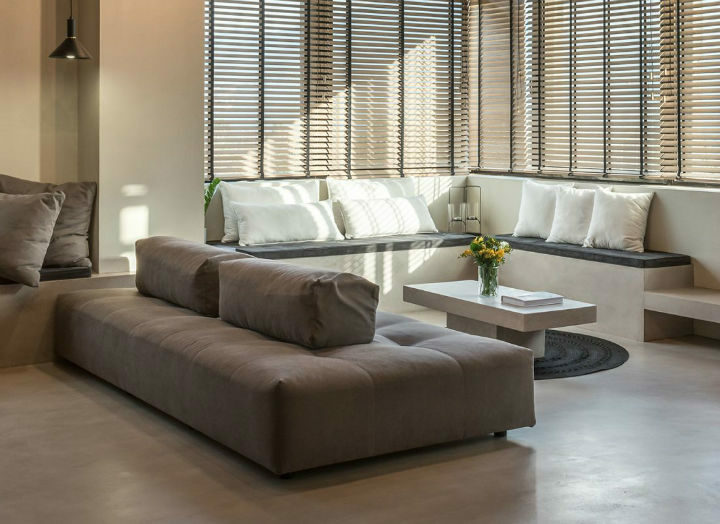 It is then, the combination of visually soft material use, cozy nooks all around the house and generous windows that overlook the picturesque landscape of Thessaloniki, that create a sense of calmness and rural living, while so close to the city.